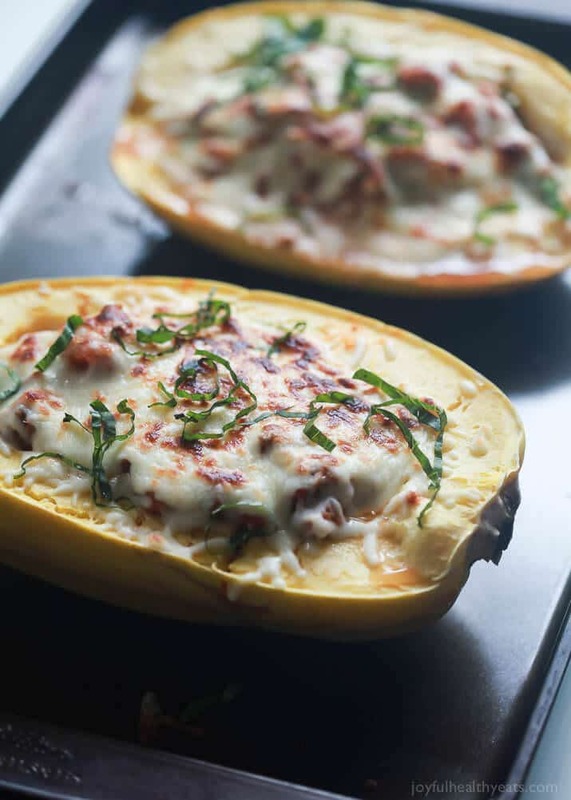 Lasagna Stuffed Spaghetti Squash, the EASIEST and healthiest Lasagna you’ll ever make! I thought I would start off today with a question. Ok, here it is, are you ready? It’s a big one. 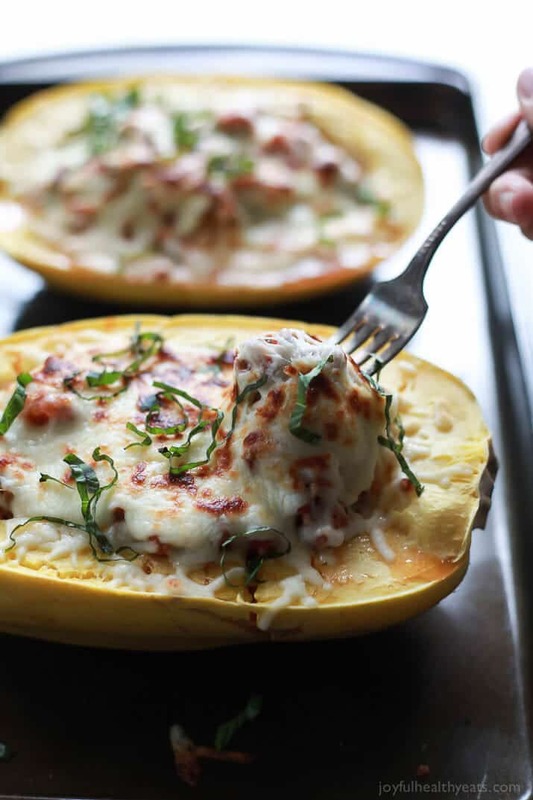 Have you joined in on the Stuffed Spaghetti Squash movement that’s slowing taking over Pinterest? 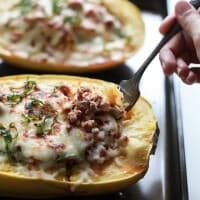 They also call it “Stuffed Squash Boats,” because you know when you halve a squash it kinda looks like a boat. Get it… hehe… Ok I know, not funny. But hey, I tried. Ok, so if you haven’t joined in on the fun, you are about to today! When I was little my mom use to make the BEST Lasagna ever. 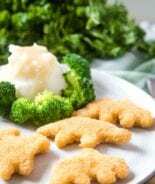 I never liked ricotta cheese and neither did she, so she would always add in cottage cheese for a creamy element. When I got older and had to start making Lasagna myself I realized what a pain in the rear end it can be. At times I can be a lazy cook. There are times when I just don’t want to do the same process over and over again. Like Enchiladas for instance, I’d rather just throw everything together and make a hodge podge of the ingredients than individually roll each one up. Lasagna fits in that same category for me. You have to do 4 layers of the same thing, why not just throw it all together? It all gets mixed up anyways, right? And lets be honest. Unless you pull out a perfect slice of lasagna from the pan and expertly set it on the plate so that none of the layers slide down your plate, all the layering you just did was for not. My solution? 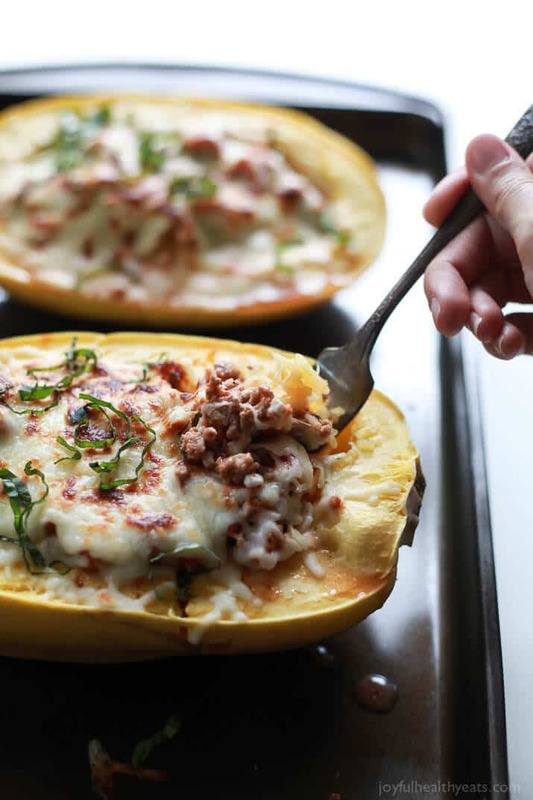 This Stuffed Spaghetti Squash gives you the best of both worlds. 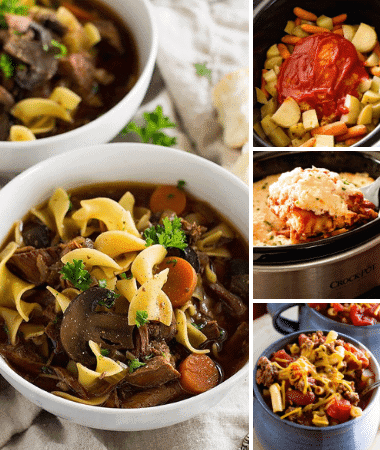 All the same great flavors of Lasagna, hassle free, AND healthier because you’re not using the pasta. The sweetness from the squash mixed with the rich italian Lasagna filling, and creamy melted cheese will make this dish a family favorite! Bon Appetite my friends! 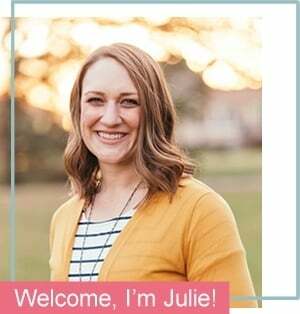 And if you’re looking for some fun fall inspired recipes to serve during the holidays I’ve got a boat load waiting for you at JHE, so just click on over! (my latest creation was Roasted Butternut Squash Quinoa Salad … holy yum) Hugs! 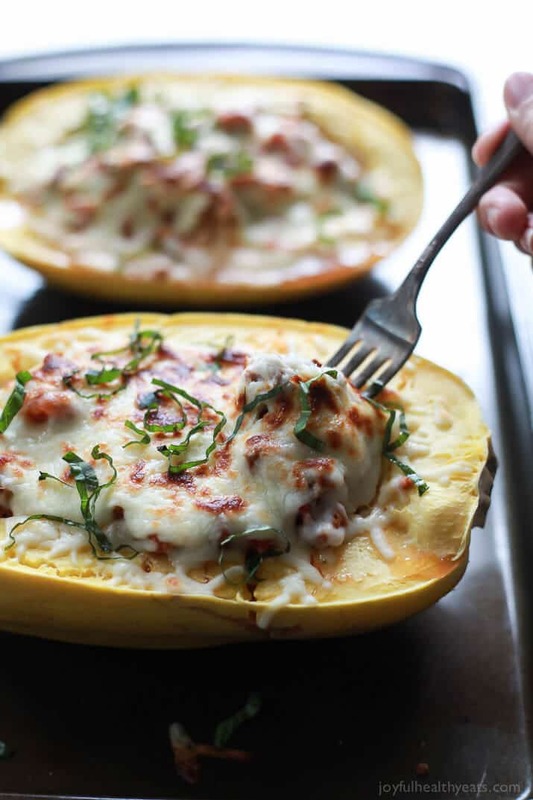 Lasagna Stuffed Spaghetti Squash, the EASIEST and healthiest Lasagna you'll ever make! 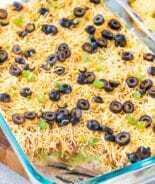 Place prepared spaghetti squash halves flesh side down in a glass baking dish. 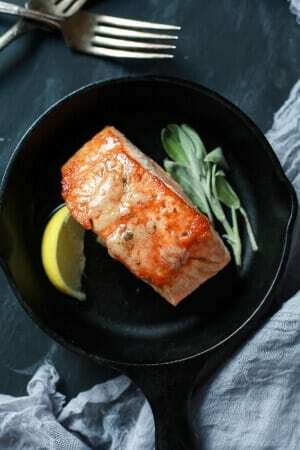 Fill the dish with about 1" of water. Cook spaghetti squash on HIGH for 10-15 minutes in the microwave. Until the squash is tender. Heat large skillet to medium high heat, add olive oil and ground turkey. Saute turkey until no longer pink, be sure to chop the turkey with a spatula to break the turkey into small pieces. About 5-7 minutes. Next add garlic cloves, dry basil, dry oregano, fennel seeds, and salt. Stir to mix and saute for 1 minute. Add in the diced tomatoes, stir and cook for an additional 5 minutes to let flavors cook together. 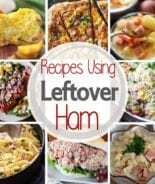 Remove the pan from the heat, and add cottage cheese to meat mixture. Gently toss. Add spaghetti squash to a baking sheet, flesh side up. Fill the hole in the squash with the meat mixture (you will have some left over). 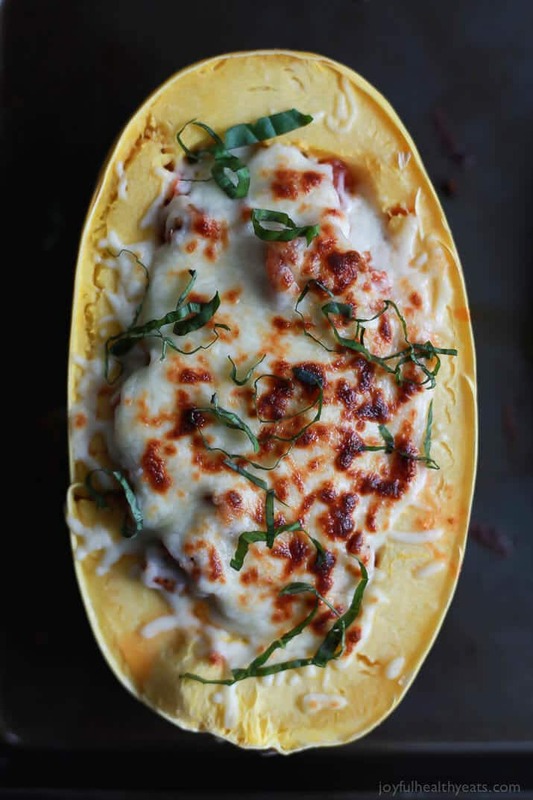 Top each squash with 1/2 cup of mozzarella cheese. 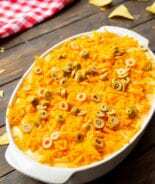 Place baking sheet in oven under the broiler fro 5 minutes or until the cheese is slightly browned. Using a fork gently scrap the flesh of the spaghetti squash to create spaghetti looking pieces. This looks incredible! I am so happy that I have a huge spaghetti squash on my counter waiting to be used! This is brilliant and looks so delicious! Looks AMAZING! I love lasagna, so this is right up my alley! Yesss! 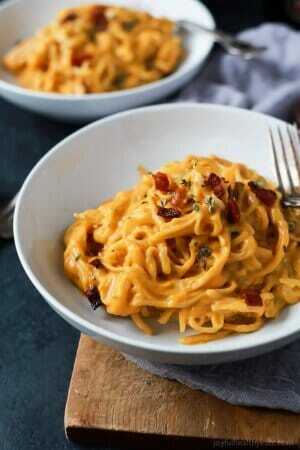 I LOVE this use of spaghetti squash! 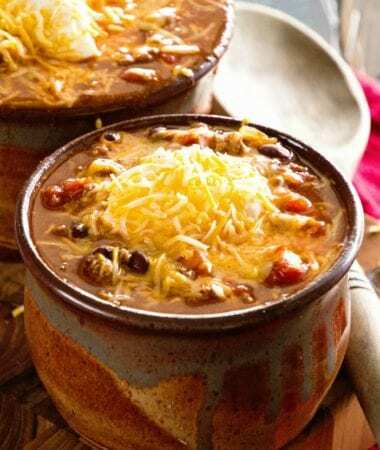 I am making this right now and the meat sauce seems a little watery. Recipe doesn’t say to drain tomatoes. Should I have drained them? 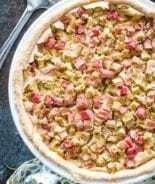 This might be my new favorite recipe. 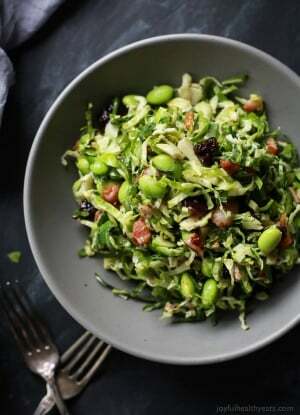 So, so easy and absolutely delicious! I used plain Greek yogurt because I didn’t have any cottage cheese, and it turned out fantastic! Thanks for sharing! So glad you enjoyed it Paige! !